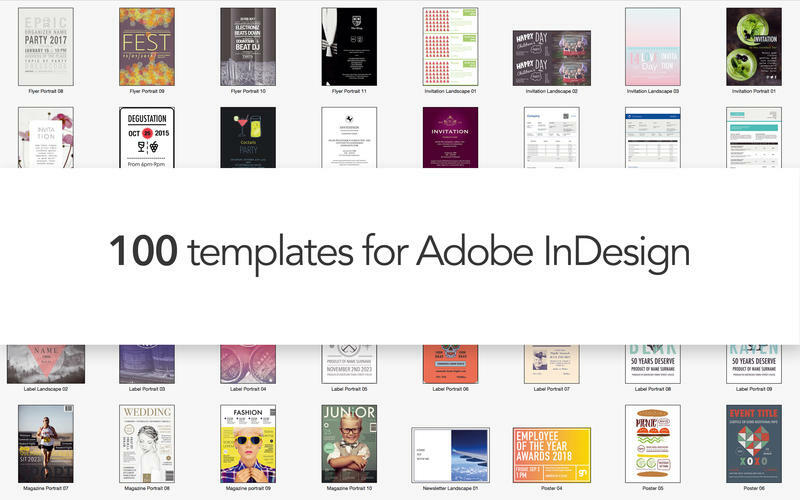 The perfect tool for publishers and advertisers, the Templates for InDesign – Alungu Designs app provides 100 distinctive designs for Adobe InDesign. Just choose a template, add your text and photos, make a few adjustments, and save time for other projects. The 100 fully editable designs include blogs, brochures, certificates, invitations, labels, magazines, posters and resumes. The templates come in the InDesign’s native INDD format and can be opened with Adobe InCopy, or imported into QuarkXpress. You can easily customize the templates to your requirements: fill them with your own text, change shapes and the color schemes, add or remove images as you see fit, and use other capabilities of InDesign to create your unique designs. Next story Navicat Premium 12.0.4 – Combines all Navicat versions in an ultimate version. Previous story OCRKit 17.6.1 – Convert PDF or image graphics into searchable PDF. Newsletters Templates for Pages 1.2 – Newsletters Templates. Stationery Set for Pages 4.0.2 – Modern and smooth Stationery Set for Pages. Suite for Word 3.1 – Collection of Microsoft Word templates.